Could it be that there is starting to be a bit of international competition in the digitising early film journals stakes? It would be wonderful if this were so, and maybe the appearance of the journals around the world that we are trying to document is in part encouraging other such initatives. Already we have excellent representation for Italy, France, the USA and Brazil, with isolated examples for countries such as Austria, Germany, Sweden and the UK. Now we can add Switzerland to their number. The Institute of Cinema Studies at the University of Zurich has recently completed a project to digitise 324 issues of the Swiss film trade journal Kinema, dating 1913-1919 (with some gaps). 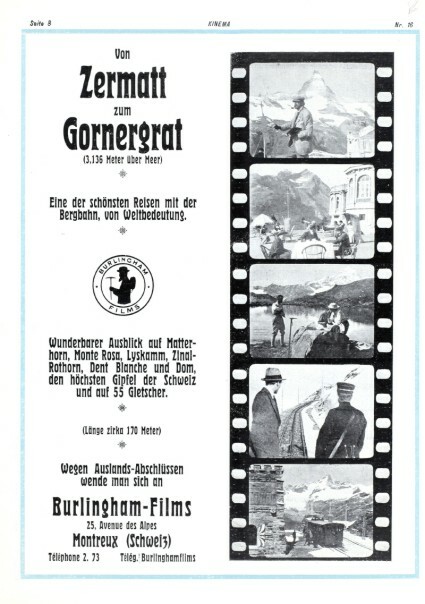 The journal was Switzerland’s first film journal, founded in 1911 (the first two years have not been digitised as yet as many issues from this period are missing), written in German though with some articles in French. It covers the small amount of native film production that took place in Switzerland this time, but also covers films from many other countries which were exhibited in Swiss cinemas. So, for anyone with an interesting in early cinema this is an important new resource. Using the Kinema website is easy. Click on the ‘Blättern’ link and you will be taken to the relevant section of the retro.seals.ch online project, of which this digitisation forms but a part. Instructions are in English. You can search across the entire digitised set, of else selected a volume or year, then narrow this down to issue level, which takes you to individual pages which you can browse through or see in enlarger form with a zoom viewer. Complete issues can be downloaded as PDFs (rather large – a typical issue comes to over 100MB, but they are word-capturable, so it is possible for non-German or French reader to copy and paste text into Google Translate to get at least an approximate sense of what is being said). It is possible to download individual pages as PDFS as well. You can also search for a word within a single issue. Searching on various terms brought up 168 hits for ‘Chaplin’, 371 for ‘cinematograph’, 12 for ‘Vitagraph’, 30 for ‘burlingham’ (Frederick Burlingham was a mountaineering filmmaker who made a number of films in Switzerland), 7 for ‘bioscope’ and 3 for ‘Kinemacolor’ (the searches appear to be across the entire retro.seals.ch database – I haven’t worked out how to search within the one journal title, as opposed to browsing through it). 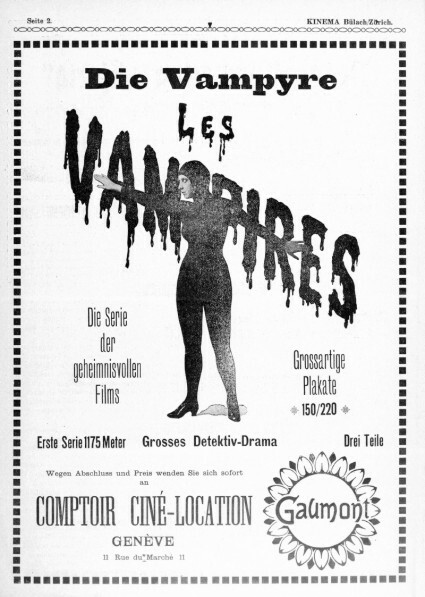 The journal is heavy on the Gothic text for the earlier issues, but later isues have more illustrations, particularly among the many advertisements. 1915 / 35, p. 6f. 1917 / 36, cover c? There is much to discover here, illuminating not only the exporting of films from other countries into Switzerland, but increasing awareness of the importance of a country whose early film history (production, distriubtion and exhibition) remains too litle known by most film scholars. Having Kinema online must change things. Go explore.